There are many comedians performing at this year’s Melbourne International Comedy Festival who have popular podcasts. Some of those popular podcasts will be recorded live in front of an audience at this year’s Festival. 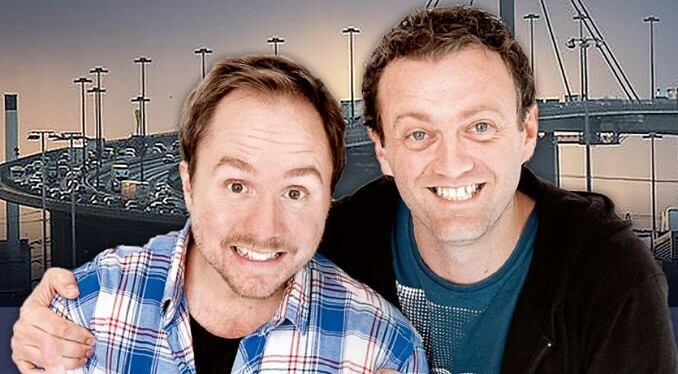 The Melbourne International Comedy Festival is calling it Podfest 2015 in the guide . Here we present a comprehensive list of live recordings of Podcasts that we know of taking place at this years Melbourne International Comedy Festival. The second link is to the podcast website itself. If you cant be there in person; you can listen! What never makes it to the news desk? Comedian and SBS Radio satirist CJ Delling unearths the week’s topical news stories found under a reputable, and imaginary, TV news desk. A comedy quiz show, with one contestant, where one man tries to convince another that the truth is out there. We’re just not sure where! Steele brings on fabulous guests from Comedy and TV to discuss reader’s letters to the (green) TV guide in The Age Newspaper. The guys from one of Australia’s favourite improv groups, Spark! get together and talk about the things, all of the things, mostly the ridiculous things. Previously called This is Not the Pod You Are Looking for, Steele Saunders has streamlined the name to “Steele Wars“, but it remains a podcast where Star Wars fans can get together and chat about Steele’s obsession with the Star Wars Universe. The live show on April 18th at The Comics Lounge is SOLD OUT. The Little Dum Dum Club with Tommy Dassalo and Karl Chandler Live! Two top dickheads chatting to other comedians about fast food and other things. Adam Richard and Justin Hamilton catch up with each other and some comedian friends. Also there is also bound to be a surprise Fofop / Walk In the Room mash-up/pop-up show at some point. Keep your eyes on their websites and ears on their podcasts. Meanwhile during the festival you can checkout the Comedy Festival Fan podcast MICF Daily Where Mike Brown talks to many comedians and various people involved with the Melbourne International Comedy Festival with the addition of daily news and information about the Festival.